Besides natural sights, visitors are invited to see the cultural and historical landmarks at Celjska koča and its vicinity. Available tours: tour of the Church of St. Mary of the Snow and the Church of the St. Cross at the village of Svetina 2 kilometres from Celjska koča and the final residence of Alma M. Karlin immediately below Pečovnik. 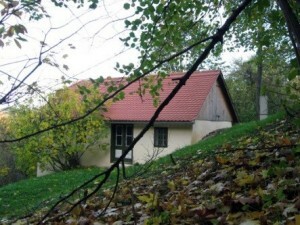 The residence of Alma Karlin – At Pečovnik at the city outskirts is the house where Alma M. Karlin, globetrotter, writer, polyglot and theosophist resided together with her friend Thea during the final years of her life. The residence at Pečovnik was named a cultural landmark of local importance and hosts the exhibition “The Lonely Voyage of Alma M. Karlin” (Samotno potovanje Alme M. Karlin). Celje Castle – Celje Castle, also known as Celje Upper Castle, is located on the hills above Celje (Grajski hrib), more accurately at the southwest of the city centre on a rocky ledge hanging over the Savinja River. Its surface area is the largest of all castles in Slovenia. It is estimated to have originated in the 12th century, more accurately between 1120 and 1130 after the name of the city of Celje was adopted by Gunther Marchione de Cylie, the first and only Margrave named after Celje, son of Hohenwart-Pozzuolo of a branch of the Counts of Heunburg. Celje Old City Centre – The city of Celje is most commonly associated with the name “The Prince Town” (Knežje mesto).Undoubtedly, the lords of Celje have left a significant mark on our history while bestowing onto the city the strength and the spread of the three golden stars throughout Europe. The city was already established by the Celts and Romans enabling its development, which has remained the foundation for progress until the present day. At the centre of Celje is the Celje Regional Museum and the City below the city (Mesto pod mestom) exhibition, the Museum of Contemporary History Celje including Herman’s Den as well as various monuments and other sights.